It has become a necessity for people to have best broadband connection at home nowadays. It is not to prove that you have a faster connection but it is highly essential for easy and smooth web access experience. Gone are the days when faster internet was only meant for businesses. Today, there are many production houses like Netflix that make web series or short movies meant only for web world. To tempt people with attractive data plans, many internet service providers provide various appealing offers to choose. Picking the right connection among all is not easy for many especially when they get confused in choosing a good plan for their homes. In case you already have a web connection at your home but not satisfied with its speed and connectivity then it is time for you to upgrade the same or get a new connection. Now you need to be worried about getting a right and reliable connection as TriplePlay Broadband is here to provide you faster speed and strong connectivity even during peak hours. 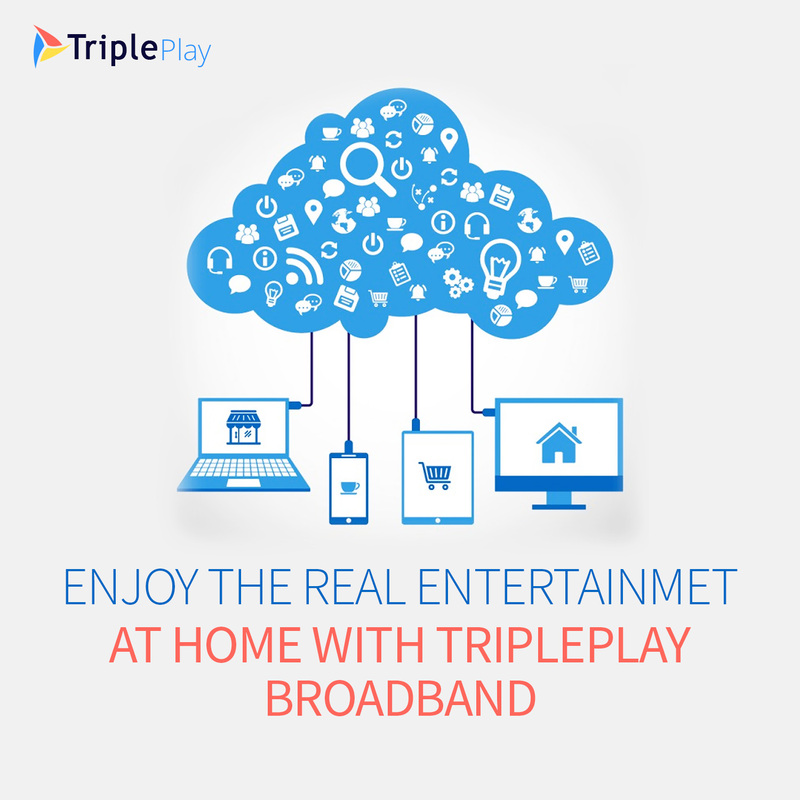 With the use of latest and innovative technologies, TriplePlay has changed the way internet was used in the past. Powered by fiber optical technology, it is providing lighting fast speed and strong connectivity all the time. Even during the extreme weather conditions, the speed remains quite fast as compared to other connections. You don’t need to experience any interruption while downloading with this connection. In fact there is no hidden cost and no data limit (unlimited plans) as well. Unlimited Plans: No more worries of limited data usages as TriplePlay has brought various attractive unlimited data plans as per your pocket size. With unlimited data, you can also get faster downloading and uploading speed. So enjoy web access all the time without any data cap! Constant High Speed: With this connection, you will experience lighting fast speed even during peak hours. You will hardly face the issue of slow speed as the connection promises to provide constant faster speed and uninterrupted web access to the users. So it means you can watch your favorite online shows, movies and videos anytime and that too without any buffer. With this connection, you can easily download and upload larger files, video and images over the web. If you think it is a false claim then you can simply check connection speed on any software. No Hidden Charges: TriplePlay believes in transparency and strong customer base therefore you will not find any hidden charges in any of their data plans or connection type. Before installing the connection, the executive will inform you the total cost of service as per the plan you have opted for. So when you get a connection here, you don’t need to be worried of any additional charges. So if you are looking for a reliable and best internet service provider in Delhi NCR then just contact TriplePlay. You will surely get best services at best prices. Unlike other service providers, it does not believe in making false claims or offering appealing plans. It simply believes in providing best and affordable web access experience to the users with the use of innovative technology. So enjoy the real entertainment at home with having a right connection!